Every once in a while a new wedding trend appears that captures the heart of brides everywhere. One such trend now sweeping the wedding world is macarons, yes, macaron cookies – but as you've never seen them before. But first a little history to put things in perspective. Catherine de Medici brought the ancestor of the macaron from Italy to France in 1533 when she arrived (with Italian chefs in tow) to marry France's King Henry II. She also brought forks and napkins – and medieval table manners improved greatly, to say the least. For the several centuries that followed, sweet delights such as macarons were enjoyed only by members of the upper class. 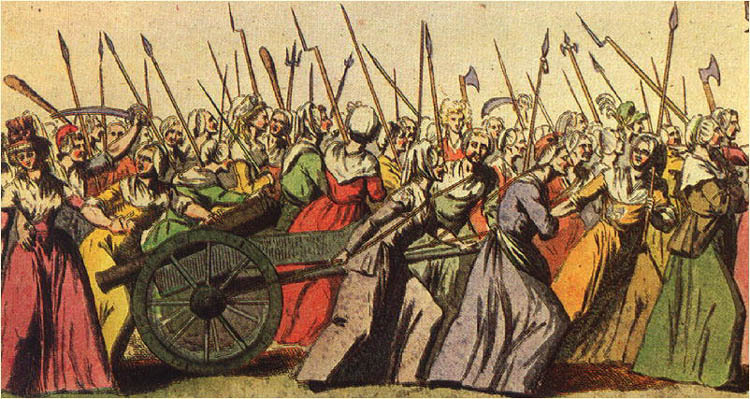 Indeed by the time the French Revolution occurred in 1789, the mobs of Paris were more than ready to believe that the French Queen Marie Antoinette had answered their cries for food with the indifferent remark, “Let them eat cake". She never said any such thing. The revolutionary pamphleteers made up the statement merely to further their cause. 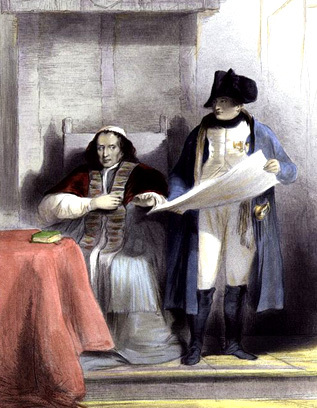 As the French State spun into a mad frenzy of bloodletting, thanks to "Madame Guillotine", Napoleon appeared and with a strong military arm re-established order. Once in control, he began to redesign French life, starting with the removal of many privileges enjoyed by the elite upper-class. One such action taken by Napoleon was to close the monasteries and convents in France, which had long been allied with the privileged monarchy. Thousands of monks and nuns were suddenly without home or work. Some chose to fight the Dissolution Order and went to their deaths instead. Others adapted to secular life yet privately continued their spiritual practice. The Carmelite Sisters in Nancy, France chose to live rather than die. Kindly offered lodging by the convent’s former doctor, Monsieur Gormand, Sisters Marguerite and Marie–Elizabeth left their black and white habits behind in 1792 and dressed in the clothes of the day. But how to support themselves? Once funds from the Crown had provided for the necessities of life. But no more. It was then that the Sisters remembered the Order’s recipe for macarons that had delighted so many visitors to their Convent in better days. 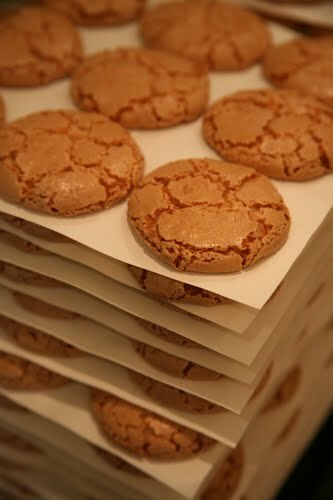 Soon the Sisters’ tasty brown macarons, made from ground almonds, egg whites and sugar, began to make the city of Nancy a leading culinary destination. Indeed, the Sisters became so famous they came to be referred to simply as "les Soeurs Macarons” or “the Macaron Sisters”. (Their shop still operates in Nancy to this day). It wasn't long before the Sisters’ fame and culinary creations were noted in Paris. 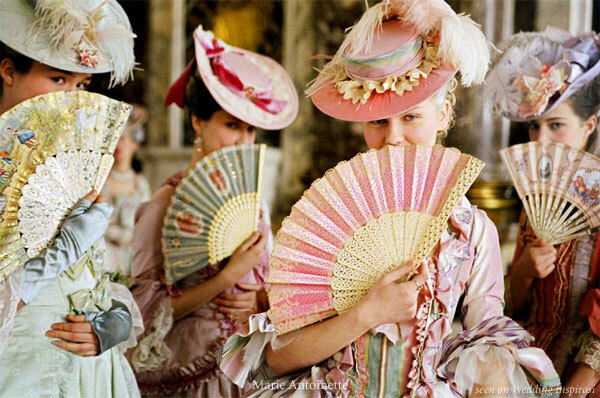 But sweetly humble has never been Paris' style. Pastry Master Louis Ernest Laduree converted the Convent treat into a stunning dessert available in a seemingly endless array of colors. Today creative brides around the world are using macarons to create weddings with an elegant French flair. Whether it's a modified croquembouche tower replacing the traditional tiered wedding cakes or as stunning guest favors, macarons are now enjoyed everywhere. Look how lovely (and how inexpensive - $3.20 per serving vrs $5.00 per traditional cake slice)! Nice, nice, nice! Post Note, July 5, 2012: "Macaron" with only one "o" is the correct spelling for this French culinary treasure. "Macaroons" with two "o's" referes to a different pastry containing shredded coconut that often appears within Jewish cuisine. Macarons are smooth; macaroons resemble small peaked mountains. There IS a difference but both are perfect for celebrating Bastille Day (or La Fête Nationale) on July 14th. Viva la France! Posted on July 5, 2012 by Ana Kinkaid and filed under Chefs, Cooking, Culinary History, Dessert, Elegance, French Cuisine, Italy, Recipes, Style, Trends, Wedding and tagged Bastille Day Brides Catherine de Medici French Revolution Guillotine Henry II History of Canning History of Forks History of Napkins Jewish Cuisine Macarons Macaroons. 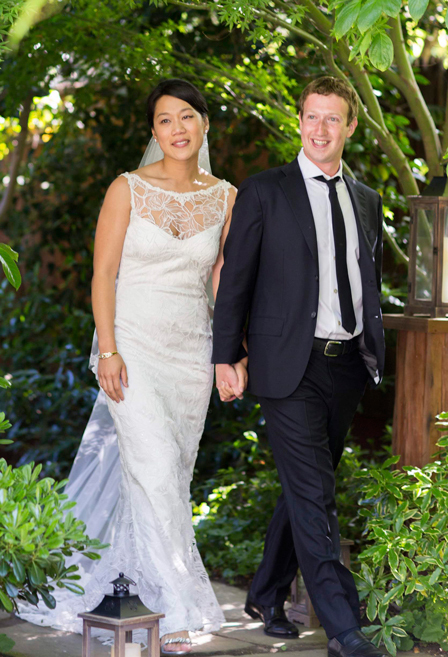 As you probably know by now Facebook founder and CEO Mark Zuckerberg and Priscilla Chan recently married after the public issuing of the company’s stock. And while many financiers are questioning the pre-release of background information to the major brokerage houses, what trend-watching members of the Hospitality Industry want to know is: What was served? Because the wedding was initially announced as a celebration marking Chan’s graduation from medical school as a pediatrician, few pre-event details were available from either guests or vendors. The 100 invited guests were startled, but delighted, on arrival to find that they were attending a wedding of Zuckerberg to a remarkable and very modern woman. 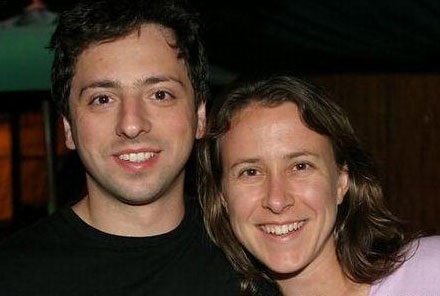 Chan, like Laurene Powell Jobs, the widow of Steve Jobs and an entrepreneur in her own right, and Anne Wojcicki, the wife of Google’s Sergey Brin and a founder of 23andMe, a genetic testing firm, is a professional woman in her own right. But fame (and fortune) hasn’t gone to the heads of these women. Their feet are firmly on the ground – no $600 Kim Kardashian style stiletto high heeled shoes for this bride. And Chan’s wedding menu choices reflects the same common sense and self-confidence that is the hallmark of these insightful women. Chan chose Asian and Hispanic foods from two nearby neighborhood restaurants that are personal favorites of both she and Marc Zuckerberg, Palo Alto Sol and Fuki Sushi. And the Wedding Cake? Well, there was none as any such a delivery to their residence would have triggered a massive and much unwanted press presence. Instead, the couple chose to share a chocolate mouse (no, not a computer ‘mouse’), but a chocolate mouse complete with a tail from L.A. Burdick, a fabulous pastry firm located in Cambridge MA. The mice were a reference to the couple’s first date at Harvard University, which is also located in Cambridge. This is a couple that will truly set many future trends (such as personal choices rather than merely fashionably pricy ones). Congratulations and the Best of Wishes! 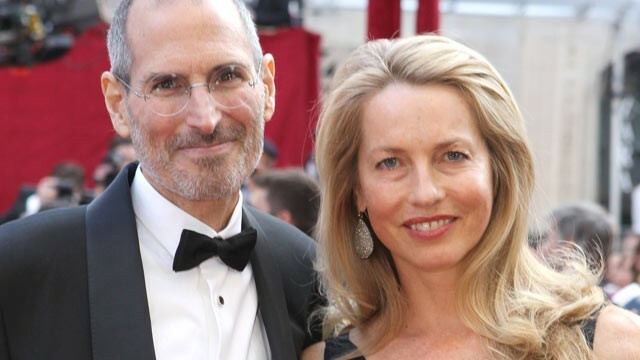 Posted on May 26, 2012 by Ana Kinkaid and filed under Chocolate, Dessert, Hospitality Industry, Restaurants, Style, Technology, Trends, Wedding and tagged $600 Shoes Anne Wojcicki Facebook Wedding Fuki Suski L.A. Burdick LaurenePowell Jobs Mark Zuckerberg Palo Alto Sol Priscilla Chan Sergey Brin Steve Jobs Wedding Cake.